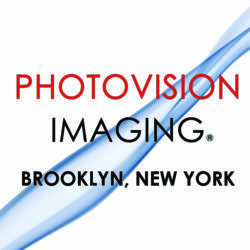 Photovision Imaging offers full service printing and convenient services for your everyday needs, including local & international fax, document printing, copies, scans & email. 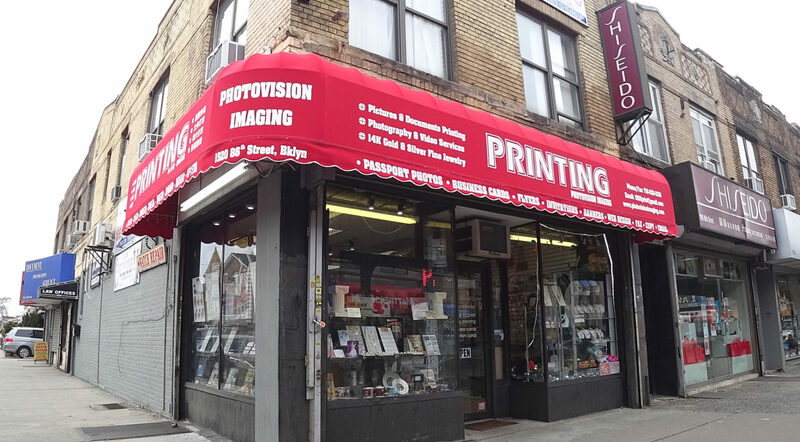 Our professional technicians and graphics designers have been servicing Bensonhurst, Brooklyn for more than one decade. We do United States passport photos, Canadian passport photos, China passports, as well as a large variety of other foreign countries. Other than the general passport photos for adults, We also do passport photos for infants and children, which many other photo places can’t manage. 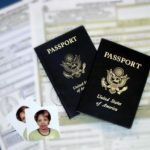 Green Card and Citizenship photos can also be done quick. Should you need to check info on some specific foreign country requirements on the passport photos, feel free to check our website for some useful links. Or contact our store (718)232-1232 for more information. Studio photography are by appointment only. You can browse our online portfolio for some picture samples. Services we offer include professional head shots, baptism photos , communion photos, sweet sixteens, family photos, weddings, and Quinceañera. We also do commercial photography for cataloged products to sell on websites such as Amazon and Ebay, please inquire our service person for more information: (718) 232-1232. No computer at this moment?? Don’t worry. 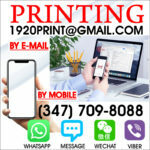 You may share your files to our mobile phone at (347) 709-8088, please confirm your order by calling (718)232-1232, and we will finish printing in no time. We can handle most file format types including doc, docx, accdb, xlsx, pdf, jpg, tiff, png, gif,, ai, or psd. And if you need specific graphic needs, please stop by our shop and speak to one of our graphic specialist. 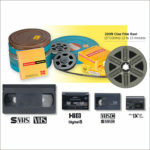 We do video conversions, preserving videos from traditional video cassette tapes. This includes VHS tapes, HI-8 tapes, Digital-8 tapes, VHS-C tapes, and Mini-DV cassettes. After converted, these videos can be stored in DVDs, which can viewed on computers and DVD players. Through further conversion, we can transfer the video into a USB drive, which can be used to even upload on any video platform such as Youtube or Google Drive. In addition to this, we can also convert reels of film into DVDS and USBs. For 8mm and 16mm film, and we can even add costumer-specified background music to the video. Photovision also offers professional location videography. 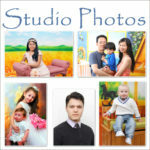 Please inquire our studio at (718)232-1232 for information. No computer at this moment?? Don’t worry. You may share your files to our mobile phone at (347) 709-8088, please confirm your order by calling (718)232-1232, and we will finish your customized gift in no time. 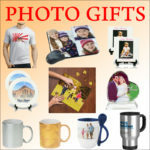 Photovision Imaging carries a wide selection of fine jewelry besides customized photo gifts, ranging from earrings to necklaces. We have 10 karat gold and 14 karat gold jewelry, which include rings, bracelets, earrings, and chains. We also custom make 14 karat gold/silver nameplates and 14 karat gold/silver picture pendants. 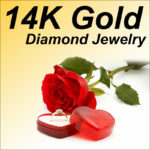 Photovision also do jewelry repair, and resize and engrave rings. We offer ear piercing service from 3-month old babies up to adults.